We are fully aware how important a spotless windshield is when it comes to the safety of your vehicle. Being able to access affordable windshield replacement easily is a necessity that you can’t afford to miss, as this will give you a constant peace of mind and enhance your visibility on the road so you can drive with confidence. We have been at the forefront of low price auto glass repair services, and our techniques are proven both within our service shop as well as on your property with our mobile service. You can always count on us to help you get back behind the wheel in the most efficient and affordable manner! When considering a car windshield replacement, you can come to Marietta Autoglass for a wide range of options. We have OEM replacements, manufacturer’s offers, and possible discounted deals for your autoglass needs. You won’t have a shortage of variety and selection when it comes to windshields and auto glass when scanning our inventory. We have windshields for all kinds of vehicles in North America and elsewhere, so you won’t need to hesitate to call us for any windshield issues you have. Our mission is to ensure that you’ll have access to the best quality and most affordable windshield replacement for your vehicle. Get a quote from us now! One particular feature in our service that we are proud of is the fast installation we provide in auto glass replacement. Whether it’s in our fully-stocked autoglass repair shop, or with a mobile option for repairs/replacements done on your property, you can always depend on us to fix any issues on your vehicle instantaneously. It takes a whole lot of comprehension, compassion, and empathy to understand the customer’s needs; that it why here at Marietta Autoglass we strive to maintain reliable and quality service, while keeping the costs as low as possible. So the next time you want something done the proper way and done swiftly, consult with us immediately. Some windshield damage hinders you even from vehicle operation. Wouldn’t it be nice to be able to call someone to fix it anytime, anywhere? Fortunately for you, we have the service options that help you pick the location on where you want your vehicle to be repaired This includes our service shop, on your property, or elsewhere where your vehicle may be located. You can be self-assured of our efficiency, accuracy, and dedication when it comes to doing windshield replacement. This is ultimately devised to bring your car’s windshield back to a pristine condition. Name your requirements and we will provide you with excellent results all to your satisfaction. Choosing Marietta Autoglass for your windshield replacement needs means that you’re not only getting quality service, but you are also investing in a business that provides you with a wide array of options, affordable choices, and dependable results. 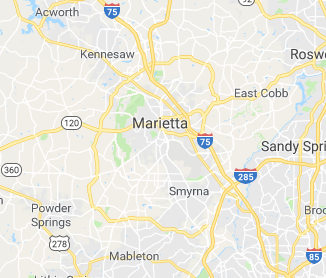 We’ve been servicing thousands of vehicles in the Marietta area for well over ten years, and every customer is satisfied with our results. No matter what car brand or model you have, we’ve got the equipment and the replacement parts to cover it. We’re just a phone call away to fix any auto glass issue you may require. ​© COPYRIGHT MARIETTA AUTOGLASS 2018. ALL RIGHTS RESERVED.